In this bright, eye-catching book readers will find the quickest recipes Southern Living has to offer. 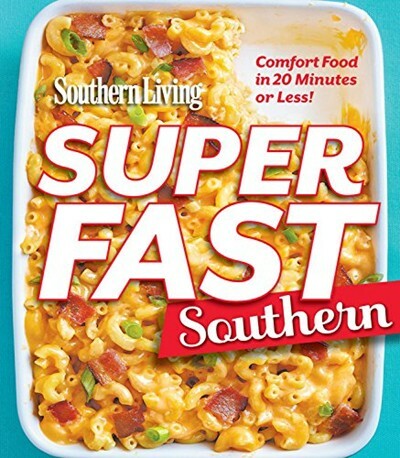 From iconic Southern foods to fresh and fun new dishes, Superfast Southern includes a great mix of recipes that all have one thing in common-they're superfast! Each recipe fits one or both of the following criteria: the prep time is 15 minutes or less, or the total time 30 minutes or less. Superfast Southern offers everything you would expect from the South's most-trusted test kitchen without long ingredient lists and cooking times. Including many classic dishes from Southern Living now simplified and streamlined, readers will have the ultimate shortcut to creating home-cooked family favorites. Southern Living 2015 Annual Recipes: Every Single Recipe from 2015--Over 750! Southern Living Annual Recipes 2013: Every Single Recipe from 2013 -- Over 750! Southern Living Annual Recipes 2014: Every Recipe from 2014--Over 750!